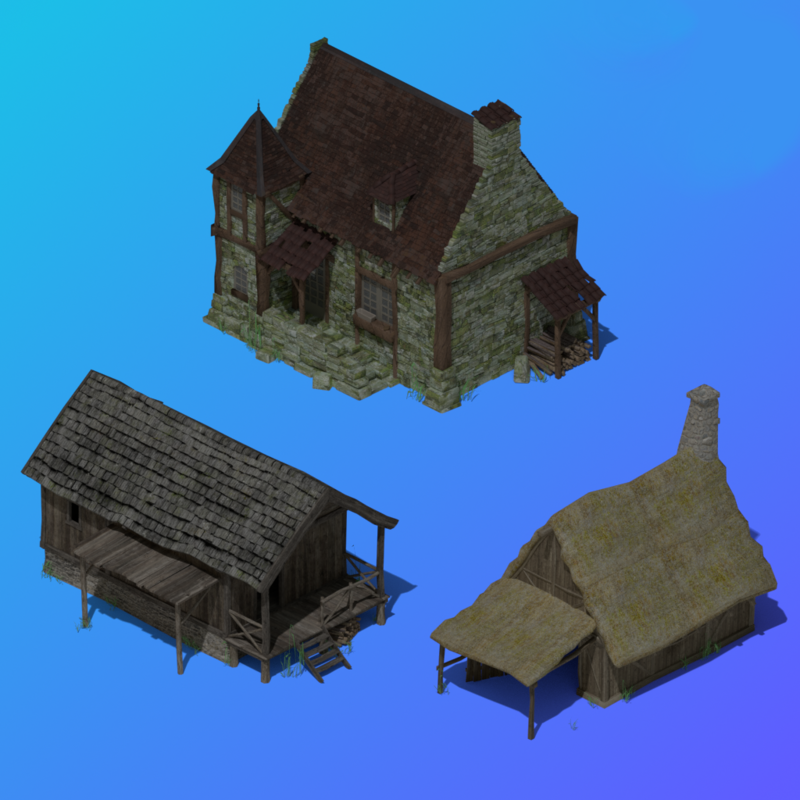 I created some isometric buildings, tried to make them as much flare compatible as possible. I also created these isometric crystals some weeks ago. My plan is to create some more art that can be used in the flare game soon. YES! 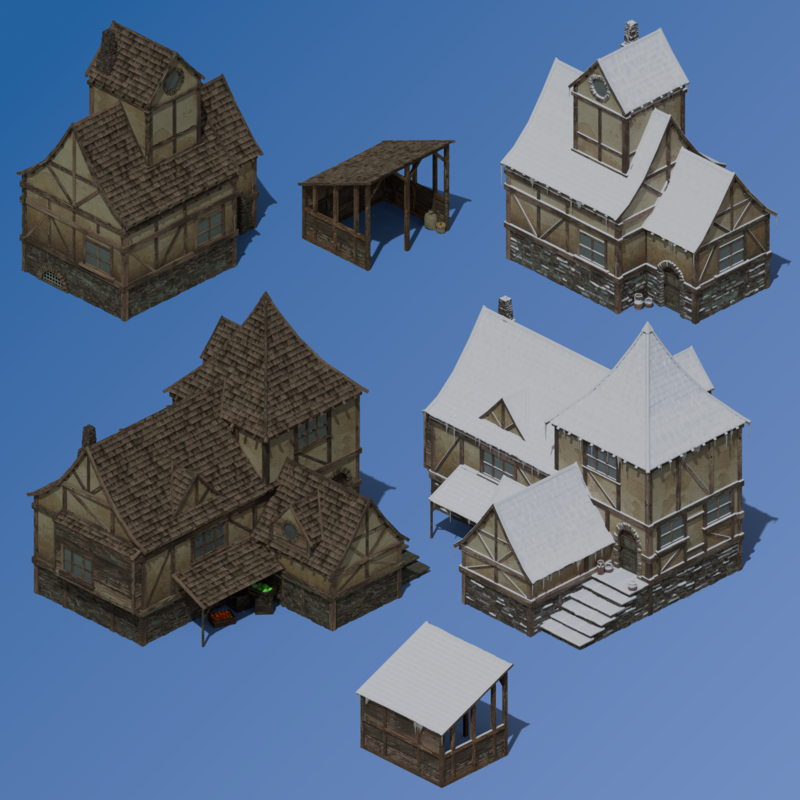 The expansion I'm going to be working on has a greater focus on more populated areas, so buildings are a must-have. Not to mention that these look great on their own. I might end up using those crystals as well. There is something i find most rpgs ignoring, and its kids. They dont up much but it would be nice to have a couple playing around. Are you referring to the graphical style in relation to targeting kids? What kind of graphical style that targets kids? I think they're referring to the literal presence of children in RPGs. There are certainly RPGs with child NPCs. I can think of the Bethesda Fallouts, Skyrim, and Chrono Trigger off the top of my head, and I'm sure there are plenty more. All of Flare's NPCs are adults, so it might be worth making some models of children for areas with more civilzation. Exactly, they dont get included to avoid virtual child abuse, Bethesda must be only one to include them, but makes them inmortal; not that it ever stopped me from chasing them down with my chainsaw knife :D.
A couple of kids would be a nice addition. 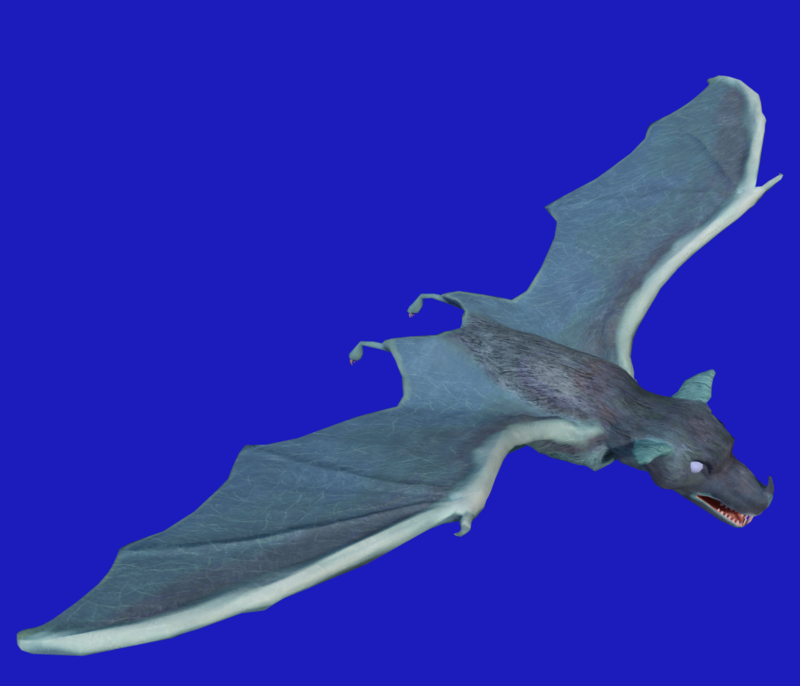 Also, im making a monster model, once its ready i will consult how to contribute it. @rubberduck Amazing work again. Only thing I'd ask for is that you add black to the "hidden" sides of the wall tiles. For example, we had to do this with the cave tileset to make it look better in certain cases. 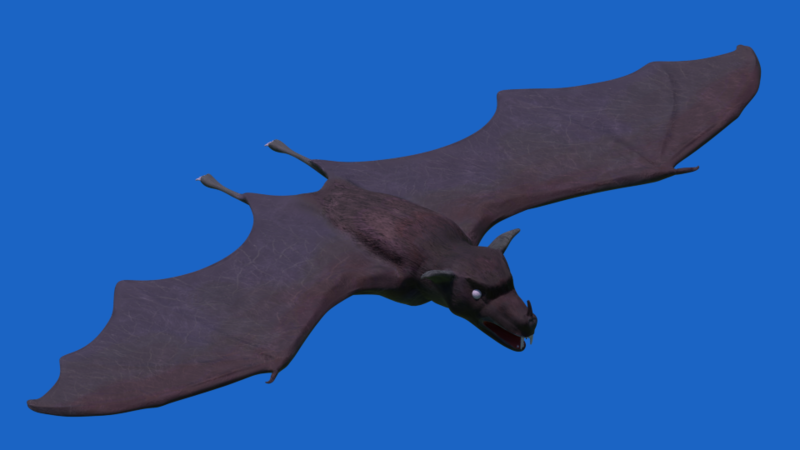 I have advanced with my model (no textures or rig yet), would it be interesting enough to get integrated into Flare? i guess it could serve as some kind of tanking monster. In the last weeks I created some other SFX packs that can be useful too, like this. @rubberduck Wonderful! I definitely see us using some of those. Hello Rubberduck, since you are preparing that model, would you mind explaining in a simple way how to get it into Flare when the time comes? 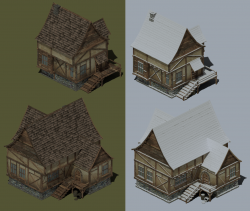 It needs to be rendered into single files first, then "converted" into a sheet. From this point I don't know how to get it into flare. 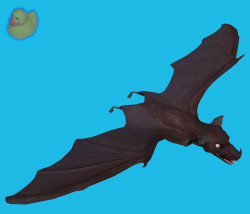 Maybe you can ask Clint Bellanger for help (I think he added most of the existing creatures into the game). Edit: I changed some preview images. Edit: note that the spikes in the preview are scaled up. 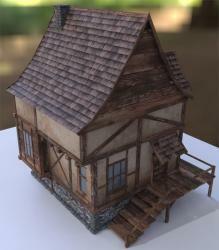 I have planned to make some more buildings in this style in the future too. Really nice work as always. I like the snow-covered version. I still need to render them all before uploading the pack. 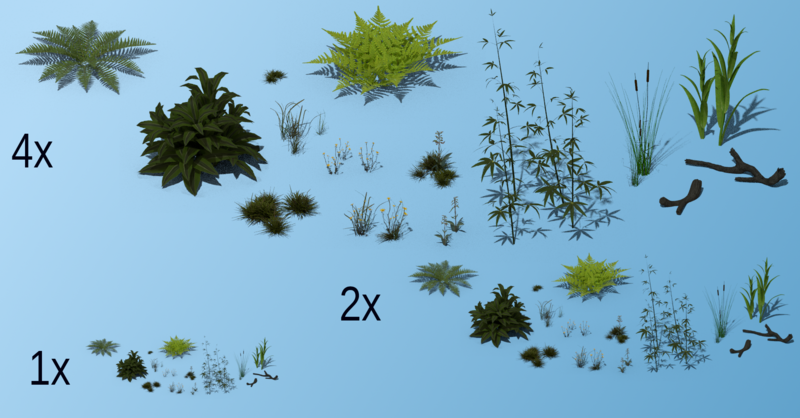 I work on a new set of plants for plants. Some trees are coming later. 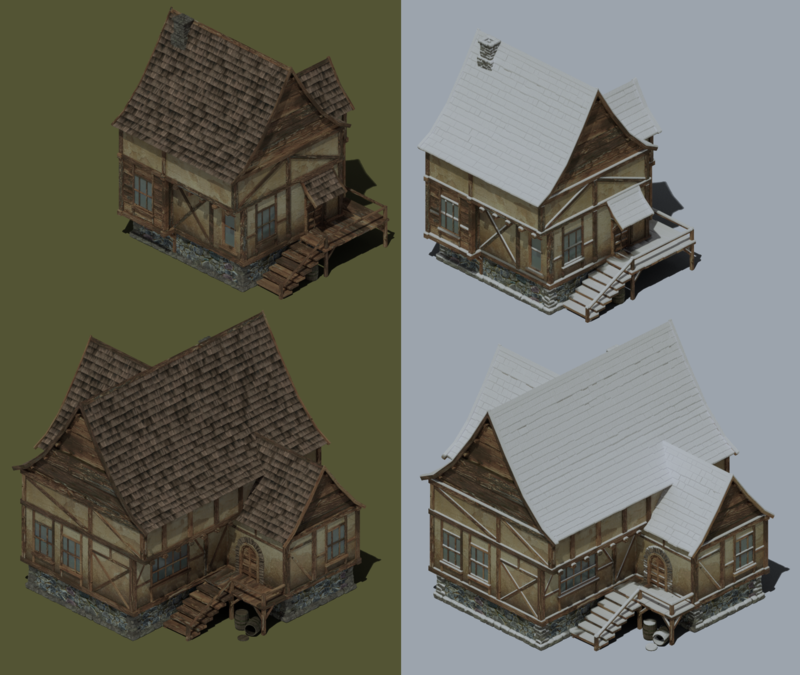 The preview shows them in 1x, 2x and 4x resolution compared the the tile size used in flare, for the final version I have planned to render them only in 1x and 2x resolution. Cool! Glad to see you included cattails, as I wished I had some when designing the swamp maps in the Empyrean Campaign. Any chance to get new art assets into the FLARE game? I'm working on it! The first map in the new Flare content will use the ruins tileset, the medieval props, and likely the new plants (when they're done). 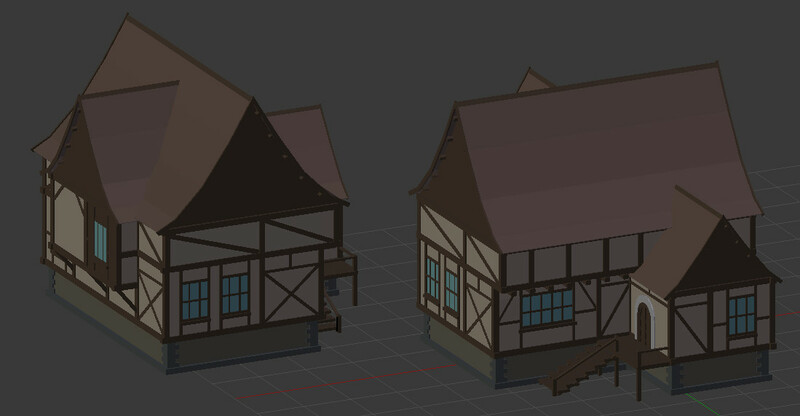 I'm currently using Clint's modular medieval building tileset as well, but it doesn't blend well with rubberduck's new buildings. 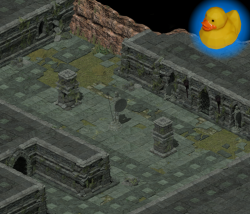 So I'll likely use rubberduck's buildings later on in another map. 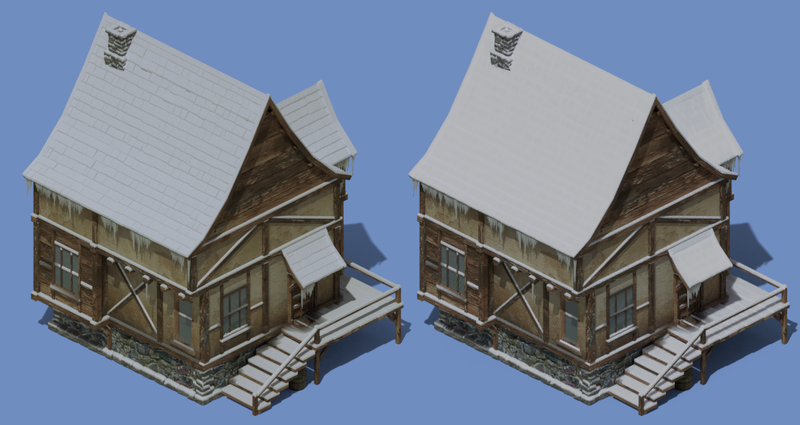 Since Clint's tileset doesn't have snow variants, rubberduck's buildings would be perfect for a new snow map. Dorkster, can i ask you to create a step by step tutorial into the conversion of new assest? 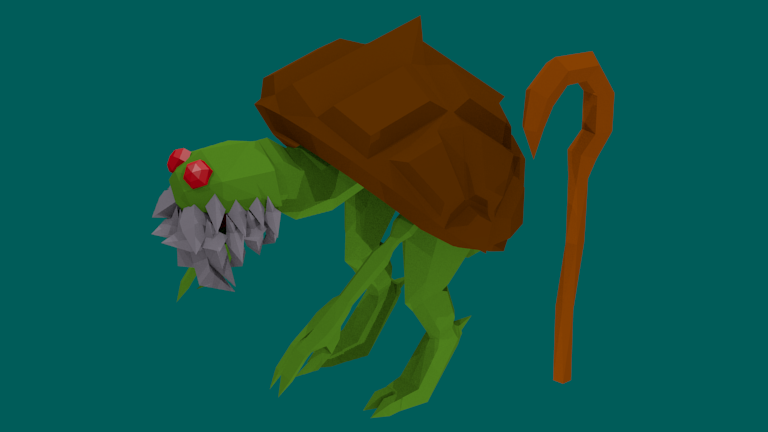 specially about creatures, i would like to help, but cant seem how to even start on that task. Use a Python script to render each animaton, rotating the render platform to cover all 8 directions. 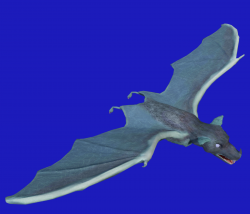 It's best to look at the existing creature models in the "art_src" directory, as they include such a script. 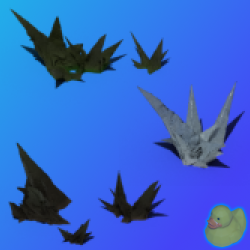 After running the script, it will create seperate images for each frame. 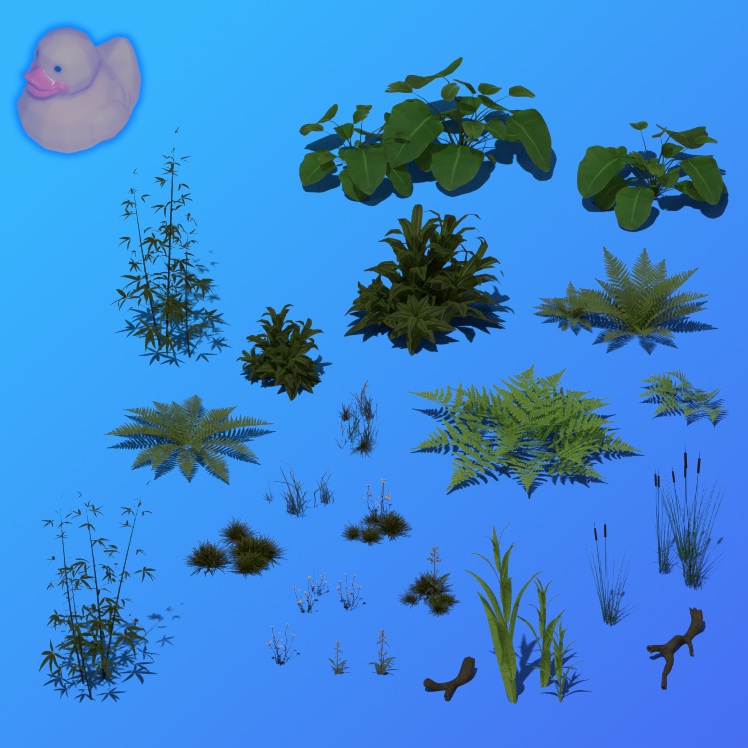 Using ImageMagick's "montage" program can combine these into a single sprite sheet. Search the "art_src" directory for "montage.txt" as an example. You'll need to change the dimensions to fit your images. Now that you have a complete sprite sheet, you'll need to create an Animation Definition that Flare can understand. Examples can be found in the "art_src/animation_defs" directory. The only way I could make a better tutorial would be to embark on creating a creature from start to finish while documenting the process. 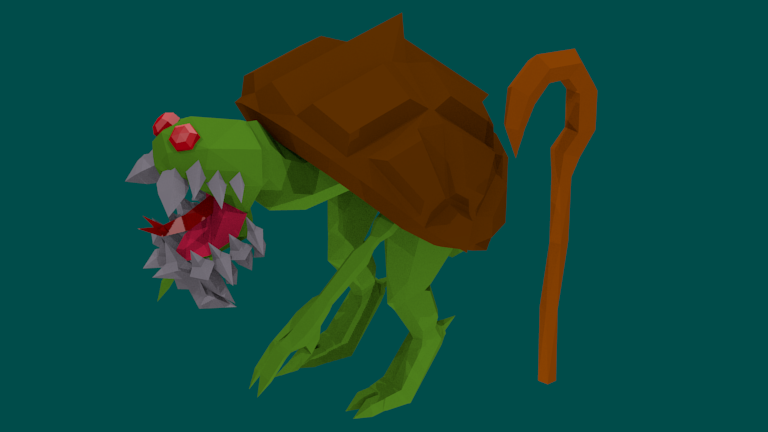 This might be something I try to tackle, since we'll want to keep up the enemy variety as the game expands. 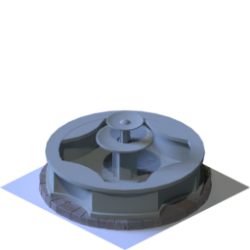 However, my main focus right now is creating new maps. Also, I realize I didn't comment on your "Snappa Kappa" creature that you posted. I'm not sure how well it would fit with other Flare assets. Maybe it could live among the goblins? Both creatures have similar "beady" eyes and green skin. Thanks, thats is some nice explanation, once i get some free time ill try to tackle one easy creature. Also, how does hero equipment graphics work? that seems like it would be the easiest to do, just a few new shields and armors could give far more visual variety. Is the process like the explained before or more simple?. Hero equipment is done the same way. But if it's not obvious, keep in mind that the rigging should match similar pieces of equipment. Is it enough to render just one piece? i saw there are full sets rendered. "importerror no module named blender"
Trying to test with minotaur, i run scrip, it makes all sprites but just for current animation, the result is always called Deathxxxx (X is some numbers) Are the rest of weapons and armor not included in this folder? What version of Blender are you using? I recall using the scripts on older versions without issue. If you're trying to run the script outside of Blender, that may be the issue. 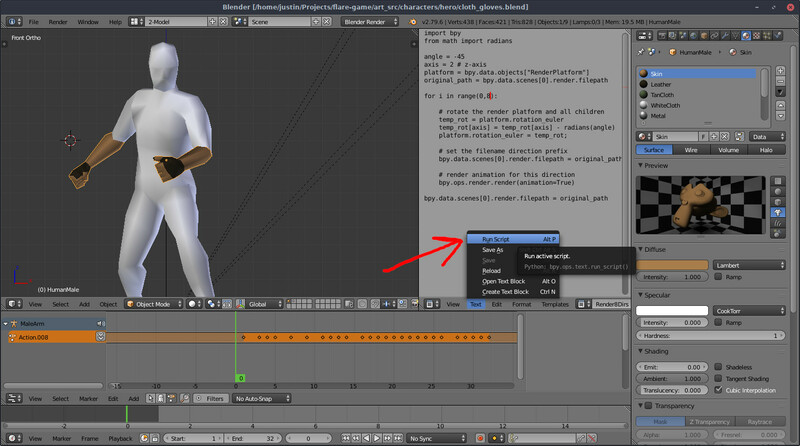 I've attached a screenshot showing how to run the script from within Blender. Is there a way to make all included animations to be rendered into sprites in one go? minotaur seems to require rendering per each different animation (attack, idle...)? Looking at the others minotaur seem to be the only one with separated animations intead of a "long strip"
The minotaur in particular is different from many of the other animations. For the minotaur, Clint made each animation a separate action, so I think you need to render each animation individually. If you look at others like the cloth gloves in my above screenshot, all the animations are on the same timeline, so Blender treats it as one big animation. You'd have to ask Clint about his choices in animation frame count, but I suspect one reason was to keep the sprite sheets from becoming too bloated. Also, Flare used to be capped at 30 frames per second, so the animation frame rate was a bit closer to the game back then. But you're right, improving the animations would be a heafty amount of work now. Im posting the result below, i tried to replace the original, but its spriteheet is very different, and it only shows in a single frame. What else am i missing? Yes :) its working well now, but i suppose the packed versions are better? how can i create them? do i need to hand input all that data into the def file? Packed versions use less disk space (and thus less memory) than unpacked. 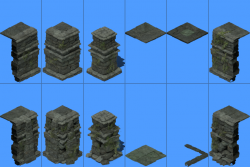 Since packed animation definitions are more complex, packing is generally saved until you're ready to ship the game/mod. And I really would like to see a map with the new content (best with some new plants too). @rubberduck Thanks. I look forward to using those. 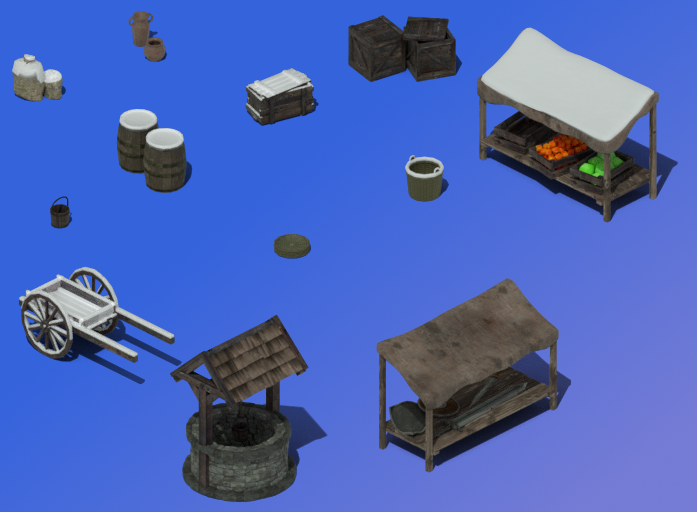 By the way, here's a teaser of some of the new assets in the new map. The map itself is 256x256, which is more than double the width and height of the current flare-game maps. The attached screenshots show what will be the major points of interest. is cc-by-sa an acceptable license for Flare?, i found a few nice models and the most restrictive is CC-by-sa. Whats you posture about that?